Crossrail, the largest construction project in Europe, has broken new ground in the UK construction industry by being the first major project to develop and deliver a strategy and process for systematically managing innovation in a major project environment. The Innovate18 programme was developed by Crossrail in conjunction with Imperial College to support Crossrail’s mission to deliver a world-class railway that fast-tracks the progress of London. The programme has now closed and has been transferred to the Knowledge Transfer Network to become the basis for the Infrastructure Industry Innovation Portal I3P. Innovate18 provided the opportunity to capture and explore pioneering ideas from all of those involved in the project. The techniques, products and methods used on Crossrail are providing a benchmark for other construction projects. 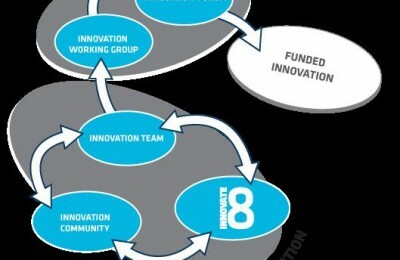 People were central to Innovate18. The network of innovation champions and innovators, drawn from Crossrail, its supply chain and its partners, provided energy and inspiration. 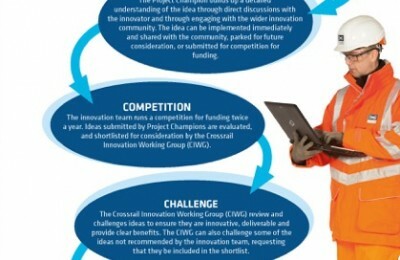 The NEF Innovation Institute awarded Crossrail’s innovation programme, first place for “Best Example of Innovation in Public or Voluntary Sector” in December 2014. Crossrail aims to leave a legacy that inspires and motivates innovation in future infrastructure projects. New innovations can be taken forward through I3P.